Home » Wall Mounts » Full-Motion Mount » SANUS VSF409. A Cheap TV Wall Mount. The Sanus VSF409 is perfection. It comes at a low cost considering the price it costs for all that it does. Granted it only supports the smaller sizes of TVs, it still offers a good amount of value. 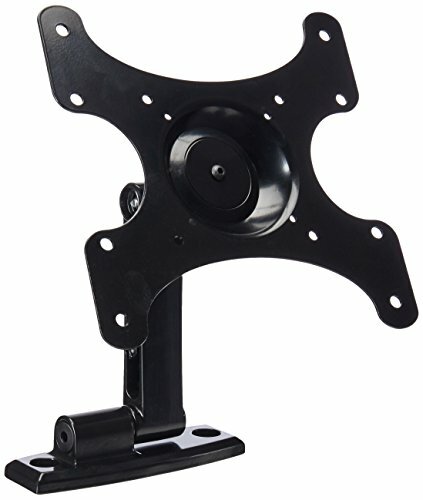 Plus since it is a Sanus wall mount it will offer quality build parts. It pans, tilts, swivels, and rolls. Not to mention that it can extend out a bit from the wall for easy cable management. If you have a small TV that needs mounted, this will be one of the best options. To the left you’ll find a VESA Pattern and on the right a corresponding TV so you can get a feel for how large the TV actually is this wall mount supports. This is a work in progress that I’ll work on over time as I review more TVs. To make things as easy as possible you are going to need some tools. Sanus tends to provide the need tools, but if not below are the needed tools to properly set the VSF409 wall mount up. Life could not be any better with the instructions that come with the Sanus wall mounts. It’s always a simple 1, 2, 3 process that any one can follow. If you hit a snag below are the steps with a more detailed sub-step below that. Good luck! If you find yourself needing a small wall mount for a small TV ,you need to not go any further. The VSF409 is perfect. Easy instructions with tons of mobility.